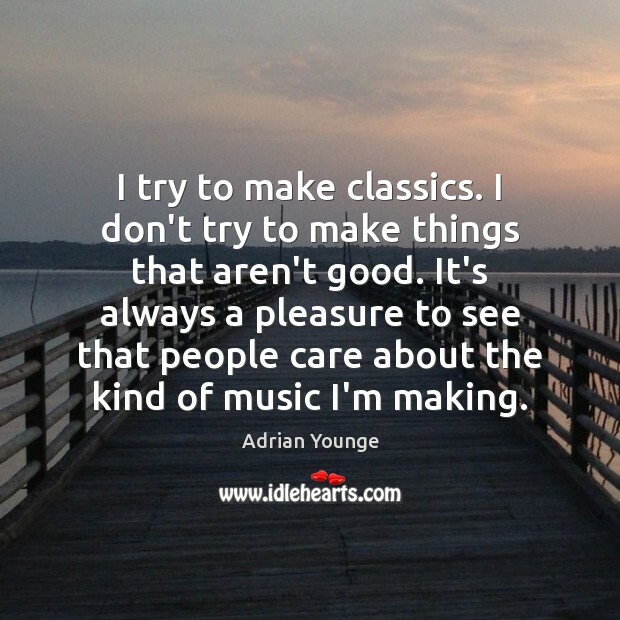 Enjoy the best inspirational, motivational, positive, funny and famous quotes by Adrian Younge. Use words and picture quotations to push forward and inspire you keep going in life! 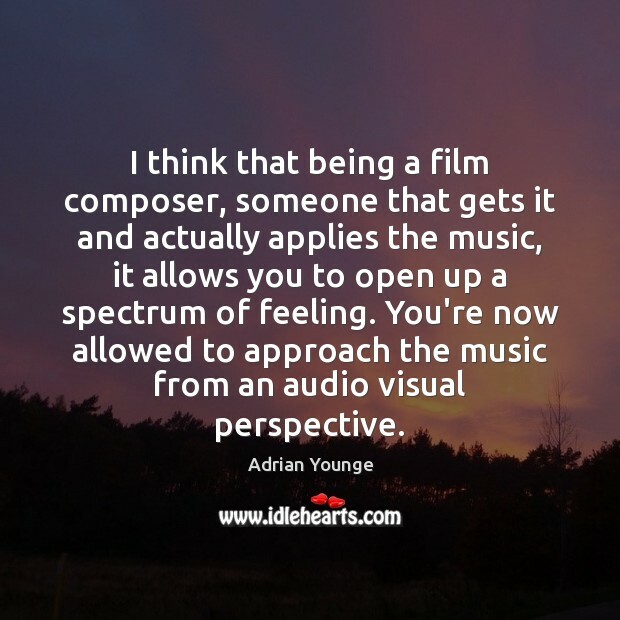 I think that being a film composer, someone that gets it and actually applies the music, it allows you to open up a spectrum of feeling. You're now allowed to approach the music from an audio visual perspective. When people score films, the job is to be visual. 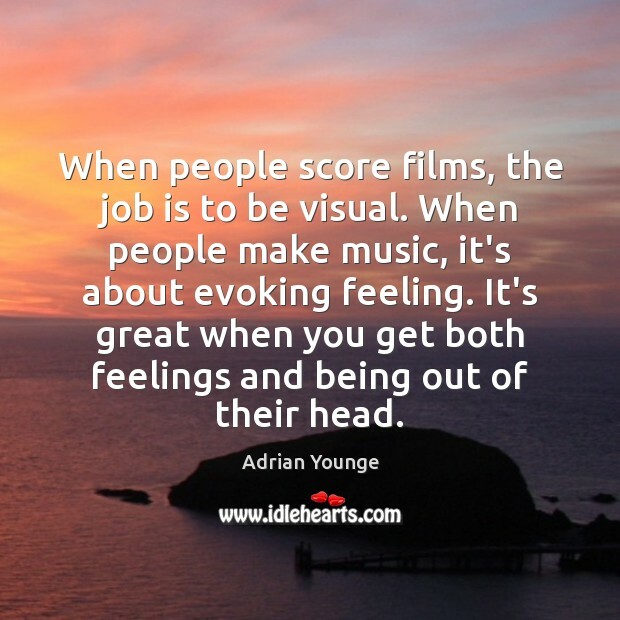 When people make music, it's about evoking feeling. It's great when you get both feelings and being out of their head. I don't have any computers in my studio, it's all analog tape. 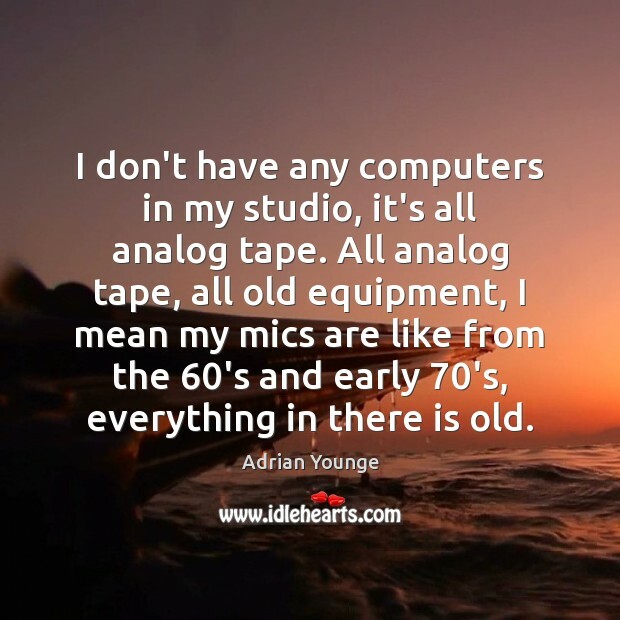 All analog tape, all old equipment, I mean my mics are like from the 60's and early 70's, everything in there is old. I try to make classics. I don't try to make things that aren't good. It's always a pleasure to see that people care about the kind of music I'm making. 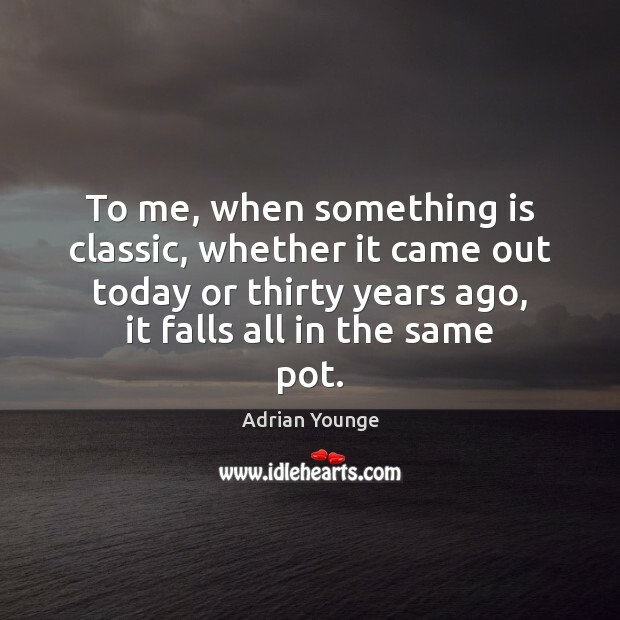 To me, when something is classic, whether it came out today or thirty years ago, it falls all in the same pot. 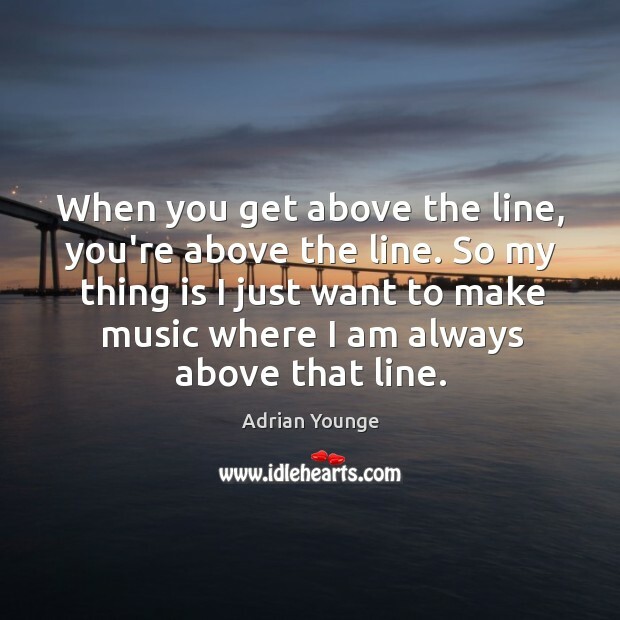 When you get above the line, you're above the line. So my thing is I just want to make music where I am always above that line.